Defective products waste consumer dollars and put buyers at risk. Every year, thousands of Californians are killed when using defective products or failing automobile components. The attorneys at Adams & Corzine have helped injury victims in Folsom and across the Sacramento Valley win products liability lawsuits. When defective products do harm, our lawyers work diligently to help our clients bring the responsible manufacturer, distributor or retailer to justice. Located in Folsom, our experienced products liability attorneys represent clients in Sacramento, South Sacramento, West Sacramento, Midtown Sacramento, Folsom, Granite Bay, Roseville, Rocklin, Loomis, Citrus Heights, Fair Oaks, Orangevale, Carmichael, Natomas, Rancho Cordova, Rancho Murieta, El Dorado Hills, Cameron Park, Shingle Springs, Placerville, Davis, and Woodland. Why Work with our Experienced Products Liability Lawyers? New product recalls hit the news almost daily. Most Californians will purchase a defective product at some point, and not all of those will be covered by such recalls before they cause serious harm. Defective products represent a wide range of items, from children’s toys that cause serious injuries to bad auto parts that lead to catastrophic accidents. Engaging an experienced products liability attorney is essential to receiving compensation against large companies with cadres of lawyers. In the aftermath of an accident involving a defective product, victims are often contacted by big insurance companies that represent retailers, manufacturers and distributors. Working with an experienced products liability and personal injury lawyer is the best way possible to evaluate these offers and decide if further legal action is necessary. We believe that injury victims in Folsom and across the Sacramento Valley deserve the best possible compensation for their pain and suffering. 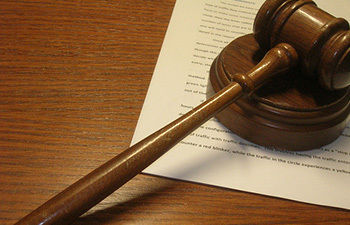 Our experienced attorneys understand the intricacies of products liability law. We have the expertise needed to take on big manufacturers and insurance companies so that you do not feel pressured to accept an inadequate settlement offer. Design Defects: Poor design or inadequate pre-market testing can lead to products that cause injuries due to designer incompetence or negligence. Manufacturing Defects: Defects in products caused by workmanship, materials or production processes can result in injury even if the product’s design is otherwise safe. Marketing Defects: Every product is designed for a set purpose. Serious injuries can occur when manufacturers, distributors or retailers advertise that the product can be used for a purpose for which it was not designed. This can happen even when products are generally safe for their intended use. Failure to Warn and Failure to Guard: Manufacturers who produce inherently dangerous products have a legal obligation to warn consumers of product dangers and do everything reasonable to prevent injuries. When products do not have warning labels or adequate safety instructions, serious injuries and even death can occur. Injuries caused by defective products are often serious. Some of the most common include eye injuries, severe burns, chemical burns, amputation and electrocution. Unfortunately, defective consumer and industrial products can even lead to death. Family members who have lost a loved one due to a defective product injury may be able to pursue a wrongful death suit. If you have been injured or if a loved one has been killed by a defective product, it is essential that you work with a products liability attorney who has experience in negotiations and courtroom proceedings. Manufacturers, retailers and distributors generally have the money to hire competent attorneys to defend themselves in court. Having your own advocate can make all the difference between losing your case and receiving the compensation you deserve. Defective products cause all too many injuries in California. The seasoned products liability attorneys at Adams & Corzine have extensive experience helping clients throughout Folsom and the surrounding areas. If you are an injury victim or believe that a loved one was killed by a defective product, contact us today to schedule a consultation. We are here to listen to your case and help you understand your legal options.